Want to be notified of new releases in floatzcss/floatz? Please note: since version 1.3.0 IE specific CSS hacks have moved into own stylesheets to reduce CSS size for modern browsers. Thus if you want to support older browsers you have to use the conditional statements within HTML to load IE specific stylesheets (see example below). Take care that these styles are loaded AFTER the used stylesheets. The basic layout class is a box. Each box floats left (this is where the name floatz comes from) and gets by default a width of 100% of its surrounding parent element. Boxes can be easily customized via CSS. Layouters are used to give boxes specific widths. It is important to use the correct layouter according to the horizontal orientation of the box (l=left, m=mid, r=right) to make them work properly in all browsers. In best cases the sum of all layouters in a row gets 100%. If not, clear the float by attaching flz_clear to the first box of the next row. Alternatively the boxes of each row can be surrounded with an additional box which is the most stable solution especially when dealing with boxes of different heights. Spacers are used to add whitespace to boxes. According to layouters it is necessary to follow the same (l=left, m=mid, r=right) semantic depending on the horizontal orientation of the surrounding box to make them work accordingly. The following example shows spacers in a single row / multiple column scenario. It is also possible to stack boxes and spacers (e.g. in form layouts). floatz provides the necessary classes and takes care that each row / column gets its appropriate whitespace. The following example shows such a multiple row / multiple column scenario. In real world scenarios it is often the case that boxes and spacers must be nested. To handle such situations floatz provides subspacers. Subspacers can of course be used in stacked scenarios too and it is possible to create any imaginable combination of stacked and nested boxes just by combining the provided layouters and spacers. Since floatz 1.3.0 boxes are using box-sizing: border-box by default. Thus it is not necessary to add extra divs for creating whitespace in such cases. The spacers can simply be added to the boxes side by side with layouters. Please note: if legacy browsers have to be supported it is still necessary to use the 'old' method with separate divs for each spacer, otherwise the layout will collapse. See http://caniuse.com/css3-boxsizing for information about which browsers do / do not support box-sizing. The root element for a page is the flz_page id. Depending on the kind of page layout that should be used, the according layout module must be imported into the websites stylesheet. When using the liquid layout module each box increases its width according to the given percentage of the used layouter. For situations where only one of the boxes should increase dynamically but the others should always have a fixed width, the markup and CSS must be changed as follows. First the layouter must be removed from the fixed box and flz_box must be removed from the liquid box. Next the liquid box must get a margin and the fixed box an according width. For a liquid and centered page layout the liquid layout module is required and the body element must get the desired left and right margins. Since version 1.2.0 floatz provides a layouting mechanism called panel layout. With this mechanism, which has been inspired by Google Web Toolkits layout panels, it is possible to create modern desktop like layouts that are utilizing the whole browser view port, which can also be interesing for developing HTML based mobile apps. Please note that panel based layouts are supported for all browsers, but in Internet Explorer only starting at version 7+. Panel layouts make use of the CSS classes flz_panel and flz_scrollpanel instead of flz_box. The dimensions of the panels are provided via CSS. Easing the layout of navigational elements is one of the key purposes of floatz from the very beginning. Thus it provides a comprehensive set of reusable CSS classes for different navigation scenarios. The underlying markup is based on simple lists. They easiest form of navigation is a simple horizontal list navigation using flz_listnav. The following example shows such a list navigation. Each navigation item is separated using a separator character(which could have also been defined within CSS instead). The active item is marked with flz_selected. This simple principle is inherent to all other navigation elements. The next example shows how the list navigation can be extended to a top navigation element (usually used for secondary navigation items at the top of the page - e.g. for contact, sitemap, search, language selectors, etc.) just by adding flz_topnav. All listed navigation classes instead flz_listnav are absolute positioned. Thus they need a surrounding box that uses flz_relative or position:relative within CSS. If no relative box is defined, the navigation elements are positioned in the context of flz_page or the HTML body. The following example shows flz_toolbar which positions in the context of its surrounding box. Menus are also simple list elements but visually richer (means you have more possibilities to style them individually). One major difference is that menus must use a div element as container which gets the CSS class instead of the ul element as for list navigations. The example shows a horizontal menu using flz_hmenu. The next example shows a vertical menu using flz_vmenu. Vertical menus can also be used for hierarchical menus. The example also shows the use of flz_disabled for indicating disabled menu items. To increase accessibility for users that are dependent on screen readers floatz offers a skip link navigation that allows users to use the tab keys and to jump directly to sections within the page without the necessity to let screen readers repeatedly read everything each time a page is loaded again (see http://webaim.org/techniques/skipnav/ for more details on this topic). To support this it is neccessary to place a skip link navigation as the first element in the page so that this links are the first that is shown when the user tabs from the browsers address bar into the page. Next the relevant skip link targets must be defined within the page using a tags marked with flz_anchor. When dealing with workflows it makes sense to visualy indicate the current workflow state. Thus floatz offers the CSS class flz_workflow which can be used for exactly that kind of use case. Creating tab panels is just as simple as creating list navigations or menus. For a bottom aligned tab panel the class simply must be changed to flz_htabmenu_bottom. The default tab panel implementation uses sprite images to support round corners in all browsers (until IE6). For customization the styles simply have to be overridden with or without sprite images if used only in newer browsers. Easing the layout of forms is one of the greatest strengths and initial purposes of floatz. By adding flz_form to the form tag or any other block level HTML tag each form field spans the whole width of its parent container by default. To support older browsers that do not support attribute selectors (like IE6) it is necessary to annotate each input type with the corresponding floatz style: flz_textbox, flz_checkbox, flz_radio, flz_button. These styles can be left in modern browsers. Usually labels should be in the same row like checkboxes and radio buttons. To acchieve this the corresponding labels must be annotated with flz_inline. floatz also supports combinations of input fields and images. Layouting complex forms is as easy as layouting pages. It´s just necessary to use boxes, layouters and spacers to create any imaginable form grid. The following sample uses spacers to add white space to the input form. It is also possible to combine spacers and fieldsets for grouping input fields visually into logical units. As already mentioned floatz supports a wide range of browsers even legacy browsers like IE6 and 7. If it is assured that a website or application is only used in modern browsers the necessary elements and classes for layouting web forms can be reduced to a minimum. The following example shows how a form can be layouted in modern browsers. Since version 1.3.0 floatz provides out of the box support for responsive design. The following breakpoints are used within media queries to determine devices. As described under Basic concepts layouters are used to give boxes a specific width. Using responsive layouters, which are simply layouters extended with a device size specific postfix, you can define how each box should behave on different devices. As explained under Basic concepts spacers and subspacers are used to add whitespace to boxes. Similar to responsive layouters it is possible to adjust whitespace to the desired device size by simply adding a device size specific postfix to the given styles. Following this principles any layout based on layouters and spacers can be made responsive. 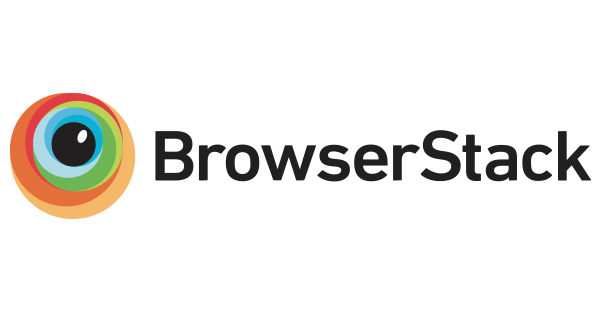 To ensure that floatz is working properly in all major browsers we use BrowserStack for cross browser testing.